To download the “After the Wedding” checklists we talked about in today’s show, enter your name + email address, and check your inbox to confirm! FREE "After the Wedding" Checklists! Enter your email address below to claim your copy of the FREE "After the Wedding" checklists! You'll also receive valuable weekly updates from the Wedding Planning Podcast including new episodes & special offers. Success! Please check your email to confirm your subscription + download your free checklists! Who grabbed the vintage brooch from the church? Do I have raccoon circles under my eyes from happy tears? I’m so hungry I’m about to pass out! These are NOT things that I want on your mind on your wedding day!!! You simply can’t afford to miss this quick list of things to run through mid-wedding day. A special “After the Wedding” offer from Shutterfly Weddings! 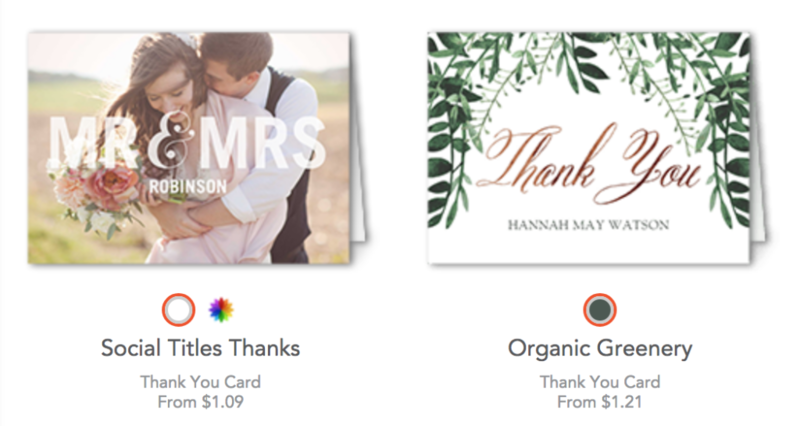 Save up to 40% on your Thank You card suite! After the wedding, you are going to be beyond exhausted. But – there’s still stuff to do. I know, I know – all you want to do is hop on a plane and run away – and I hope you’re able to do just that & enjoy an amazing, relaxing honeymoon! Wedding planning can take a toll mentally and emotionally, trust me – I’ve been there. I felt all levels of panic, frantic, excitement, and nerves in those final weeks, and it took a while to decompress and feel “normal” again. There are some critical “After the Wedding” items that will need to be handled when you return from your honeymoon, and today we discuss each of them. To download the “After the Wedding” checklists we talked about in today’s show, enter your name + email address, and check your inbox!